When Qualcomm unveiled tech that supports fingerprints under the display, vivo called dibs. It even showed off a working prototype a few days later. Now the company is ready to take the next step. 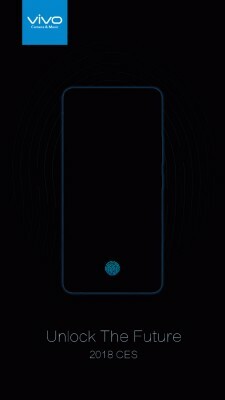 Vivo posted a teaser image with the tagline “Unlock the Future” and promised to unveil the first smartphone with an in-screen fingerprint reader on January 10. This suggests that we’ll be seeing the finished article rather than another prototype. The vivo phone may not be alone, however. Synaptics also promised a phone with an in-screen fingerprint reader at CES. Never said i was triggered by you. So stop trolling. I see. So the problem here according to you is that I'm a fanboy and you've been triggered too by a fanboy? First of all, I'm not a Samsung fanboy which I'm an iOS user. Secondly, don't start trolling.